Ron Howard does a good job of telling a true story with accuracy, while still keeping the drama needed to make it fun to watch. 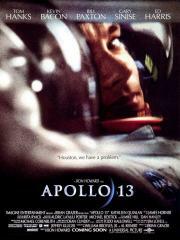 This film renewed my interest in science and tells a spectacular story about perseverance in the most unlikely place. The cast is great all around. Way too into corny category, better read 'Failure is not an Option". The cast is quite good though. There's really nothing here that makes it stand out among other space films or true story films, but with source material this riveting you hardly need anything else.